The latest season 10 cast list floating the web may be correct, based on poster’s past predictions. The list, originally posted on Big Brother fan site RealityBBQ, was submitted by user CornerOfficeX. The alleged insider has correctly posted information before past Big Brother seasons about the cast, twists and house. A recently divorced Koren-American tomboy. A 35-year-old gay rodeo cowboy whos a bit prejudiced himself. A 25-year-old who doesnt consider himself a bartender. A 53-year-old New Orleans socialite. A 31-year-old whos from a predominantly white neighborhood, shes a black mother of three and an Obama supporter in Bush country. She has a pair of rare twins. A 24-year-old teacher in an all boys Catholic school. He would move out of the country if Hillary were President. 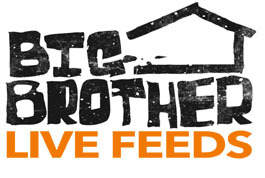 WeLoveBigBrother.com cannot confirm whether the list is official, but again, based on the poster’s past record, it has the potential (more so than others) to be correct. Stay with us for the official unveiling sometime in the next week.